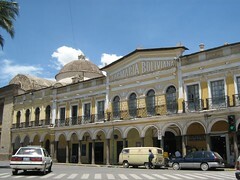 This is the Farmacia Boliviano at the Plaza Principal in downtown Cochabamba. I love this building. 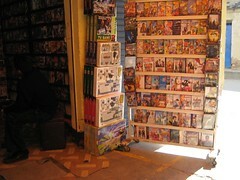 and this is a sign symbol that grows very familiar when living in Bolivia. Amusingly, this particular sign is right outside the Burger King. Excerpt from "North and South"